See Ball, Hit Ball. 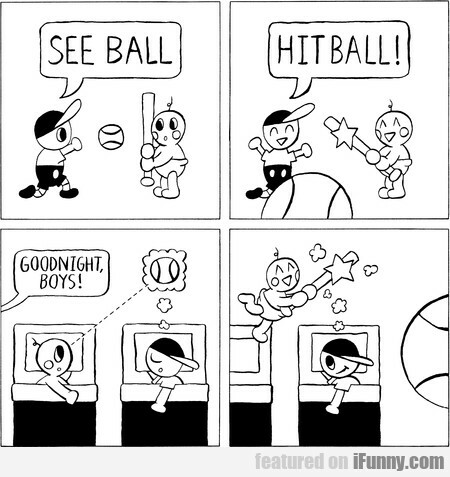 Goodnight, Boys! Can You See It - Only Smart People Will Find The.. I Live With Soul Crippling Anxiety. Your Fleeting.